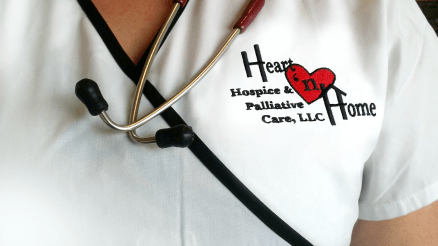 Hospice is a service that we all may need someday – if not for ourselves, for our loved ones, or for our neighbors. None of us are exempt from death and when the time is near we have choices about the services we use at the end of life. Hospice offers a team approach to help guide and support patients and their families during the end of life journey and after. Every individual has different needs and wants, especially when they are seriously ill or approaching the end of a life. The hospice philosophy understands this and allows you to choose which options best fit your needs and desires. This is care the way YOU want it. Two of the services hospice provides are Hospice Physician support and regular visits by a Nurse as needed. Having a Hospice Physician closely monitor a patient’s symptoms helps keep patients happy and comfortable. If you choose, your primary care physician can continue managing your care under hospice. You are given personalized care within your home. When you start your hospice benefit, you are assigned a Registered Nurse as your Case Manager. Our Nurses are experts in managing pain and symptoms, as well as educating and guiding their family/caregivers throughout the disease process. They provide information needed to understand, cope, and provide care for their loved one. The Nurse and Medical Director work side by side and have regular meetings to ensure that each patient gets the best care possible. In the event of an emergency or any situation when a patient or family needs help, a Nurse is only a phone call away. You have support throughout this journey. Your Case Manager will anticipate needs and bring supplies so that the family has less to worry about and more time to focus on their loved ones. Each person on the hospice team serves a purpose and together they allow for all of a person’s needs to be addressed. Our Hospice Physicians and Nurses are integral parts of the team. When the time comes that you or a loved one needs assistance to stay comfortable in your own home, please contact us to learn more about the healthcare services available to you.